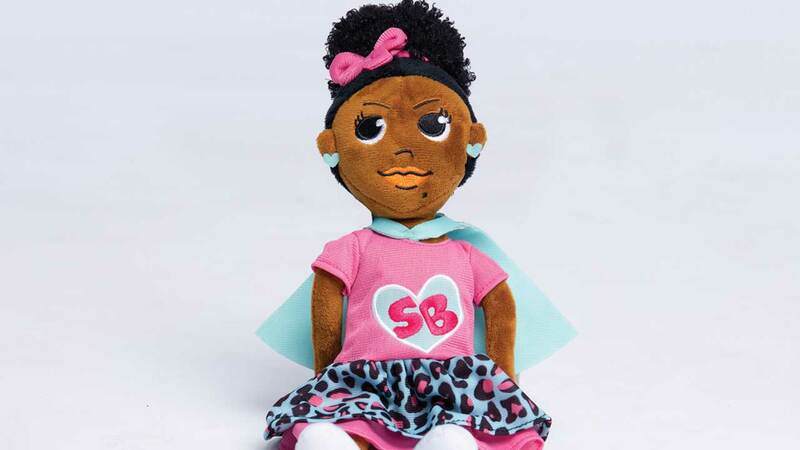 The Super Beauty doll, created by Tiffany J, not only provides African-American growing girls with a doll that looks them, but one that speaks 20 positive affirmations that promotes self-love. I had the pleasure of speaking with Tiffany J, whose story alone explains how necessary brands and products like Super Beauty are for our young girls. Aspire.TV: Is there a defining moment in your life when you realized a doll like Super Beauty was needed? Tiffany J: As I was growing up, I suffered low self-esteem for the majority of my childhood on into my young adulthood. I suffered with feelings like I was fat, like I was ugly… just feeling like I didn’t really fit in with my peers. With that being said, I tried to put a lot of energy into my schoolwork and I was really quiet, but I had a lot going on in my head. By the age of 12, I was an overachiever because I was seeking attention. At this time my parents were going through a divorce. I was trying to do so much that was excelling to get their attention off of what their problems were, but it wasn’t working. With being overwhelmed and that building up, I was contemplating suicide and I actually attempted it at 12-years-old. I left my home really late at night and went up the street and laid my body flat on the ground. The only reason I came out of that is because I called 911. Back then they would call right back. So I wanted to dial 911 before I left because deep down I knew they would call back. After I left, they called back and my mom answered the phone and told them the kids were playing on the phone. When she went to chastise me for playing on the phone, they couldn’t find me in the house. They eventually got in the yard and started calling my name. When I heard them, I started to sob until they heard me. My dad actually picked me up and carried me to the house. That moment showed that they dropped everything to rescue me, so I did matter. Even though I felt like I was invisible for a moment. 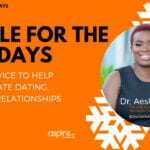 aspire.TV: When did you start to see a shift in your life from contemplating suicide at such a young age to having the strength and bravery to create a doll that provides self-affirmations? 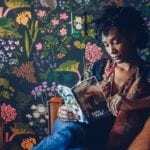 Tiffany J: I contemplated suicide a couple more times in life… around 17, 18, 21, 22… it wasn’t until I got to about 28…until I fully discovered who I was and fully loved that. I think I got into the self-love journey into my 20s. [I learned] that my differences didn’t set me apart, they just made me unique, because I wasn’t meant to be like anyone else. The majority of my life I’ve been depressed for various reasons, but this doll has just become… I’ve been saying lately my pain is about to be somebody else’s gain. I really didn’t think that this soon this thing would like blow up. I’m just amazed at how God works and how my experiences, even though they were low, made me for who I am. aspire.TV: There are so many amazing ways you can inspire and influence younger girls who are suffering what you’ve gone through. Why did you decide to create a vocal doll as the answer many girls and young women need? TiffanyJ: About five years ago I started the Beauty You Are Boot Camp, which is to boost self-esteem for girls. One of my friends nicknamed me Super Beauty and I thought it was cute. I was flattered and just kind of shelved it. I wrote my first book last year, which is a self-help book, but the thing with that, the reading level was past the level of my mentee. So, I felt like I needed to do a children’s book. And the name Super Beauty resurfaced. She was going to be a super hero that would fight bullies and boost self-esteem. I started with the book series, and I knew that I wanted to have a mascot. That was immediate for me with the book. But when I started shopping for a mascot, a company emailed me back and told me to turn my character into a plush doll. Basically, aiming for a mascot lead me to creating the doll. I started searching and saw that a lot of authors who had books about characters did have plush dolls. 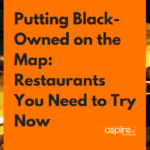 I thought about how to make mine different. The more I thought about it, the more I thought, ‘[she has to talk’]. I called the doll itself the Super Beauty Pep Talker. She says 20 phrases in rotation whenever you squeeze her. The whole process of wanting to cater to the mentees that I currently have lead me to this point. aspire.TV: You mentioned you have a mascot for the doll as well. That’s definitely taking things even further than a speaking doll. Can you tell me about the mascot? TiffanyJ: The mascot is an 8-foot character that entertains [for] different events. I’ve been to schools, family functions, and birthday parties. She can be booked for entertainment or appearances only, or you can book the Super Beauty the mascot with [me as a] speaker to give an actual live pep talk. The mascot has been traveling and doing a lot of news appearances all over the U.S. and we hope to continue and pick up the pace with the actual traveling of the mascot. I think she automatically lights everyone up so everyone loves her and wants to hug her. They’re just drawn to her presence. To find out more about the Super Beauty doll, visit iamsuperbeauty.com.